Island Naturals for Donating delicious healthy food for back stage at the sold out Jake Shimabukuro Concert this past weekend! 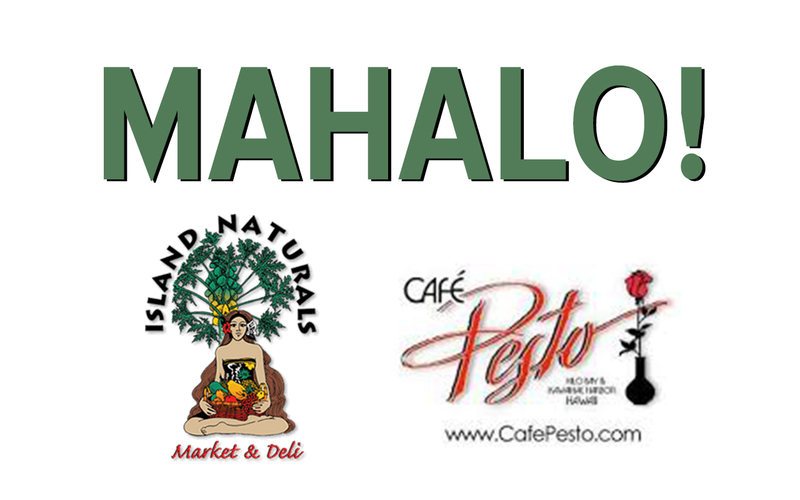 With three organic food store locations on the Big Island: Hilo, Pahoa and Kailua-Kona, eating natural, healthy food has never been easier! Stop by today and browse Island Naturals’ huge selection of organic, fresh, delicious, and all-natural products! 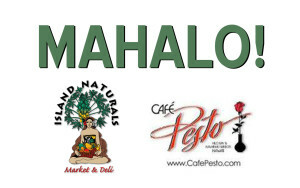 And another big Mahalo to Café Pesto for the annual donation of delicious Dinners for Jake and crew!! Café Pesto has long been considered an innovator in ethnically diverse Island Cuisine that is always wonderfully fresh, creatively presented and affordably priced! Come visit their turn of the century Hilo location and experience a must-do culinary adventure with this colorful and tasty contemporary island cuisine!